Herb Boyd is a journalist and historian. 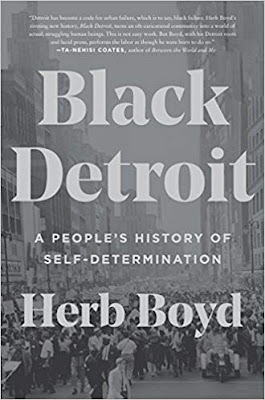 This book is a sober overview of African-American history in Detroit from its founding to current day, a personal narrative (the author is a Detroit native), and an impassioned love letter to all those various Black people, men, women, and children, famous and anonymous, who made Detroit ground zero for Black resistance to racism in all of its forms from slavery to segregation and beyond. Although the South was notorious and in some aspects unique in its racial segregation and state and individual terror utilized to enforce white supremacy, the North, including Michigan and Detroit, saw non-Blacks express just as much racial hostility towards Blacks. Blacks had to deal with housing segregation, public and private establishments that excluded Blacks, sundown towns or neighborhoods where Black presence was only barely tolerated during the day as domestic labor, police contempt for and violence against Blacks, and of course ubiquitous employment discrimination in every single trade or career. Despite all of that or perhaps because of all of that Black Detroiters, their backs against the wall, had no choice but to come out swinging. Because of its proximity to Canada, Detroit was one of the key hubs of the Underground Railroad. Boyd examines this theme of resistance from antebellum days through the present day. I learned that the author is related to one of my high school classmates. That classmates's family was active in the movement during the sixties and seventies. Boyd details their tragic encounter with the Detroit Police STRESS unit which was notorious for harassing, beating and murdering Black citizens. It is indeed a small world. 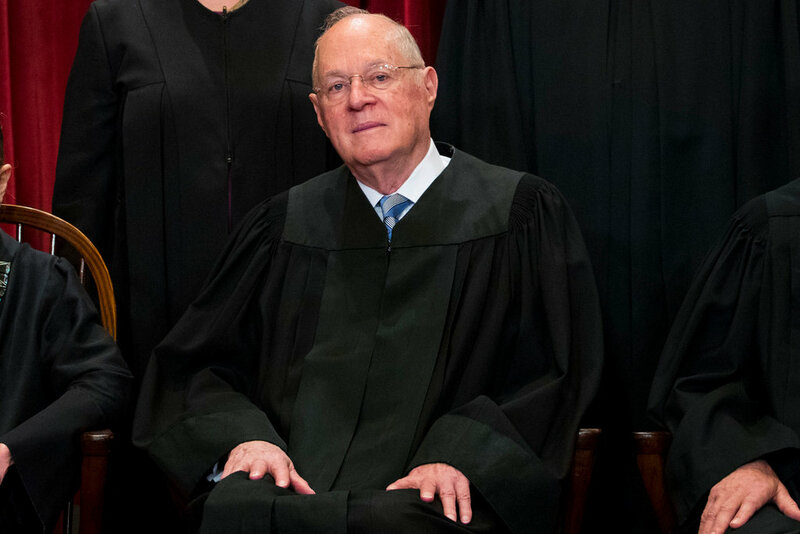 Anthony Kennedy, who often served as a swing vote on what otherwise would have been a solidly right-wing Supreme Court, is retiring. President Trump will get to make a second nomination to the Supreme Court. 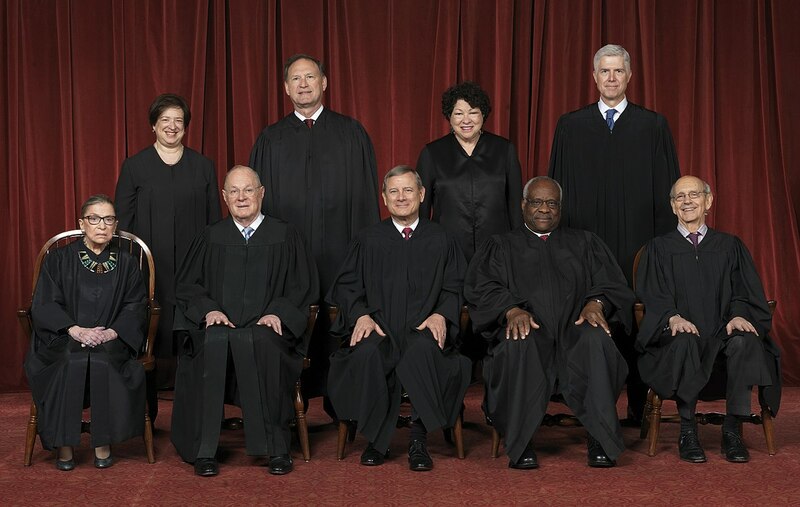 Both Kennedy and Roberts have occasionally fallen short of doctrinaire right-wing positions, so expect that conservatives will pressure Trump to select a replacement who is someone more trusted to vote as conservatives might expect a conservative justice to vote. If Kennedy's replacement is in his or her forties or fifties then they could conceivably serve on the Supreme Court for another thirty or forty years. Democrats will make a fuss about this but right now they lack the muscle to stop it. The real shift in the court may come about if Trump is able to replace someone like Ginsburg or Sotomayor. It is a testament to how far the judiciary has shifted to the right that some liberals will be sad to see Kennedy depart. WASHINGTON — Justice Anthony M. Kennedy announced on Wednesday that he would retire, setting the stage for a furious fight over the future direction of the Supreme Court. 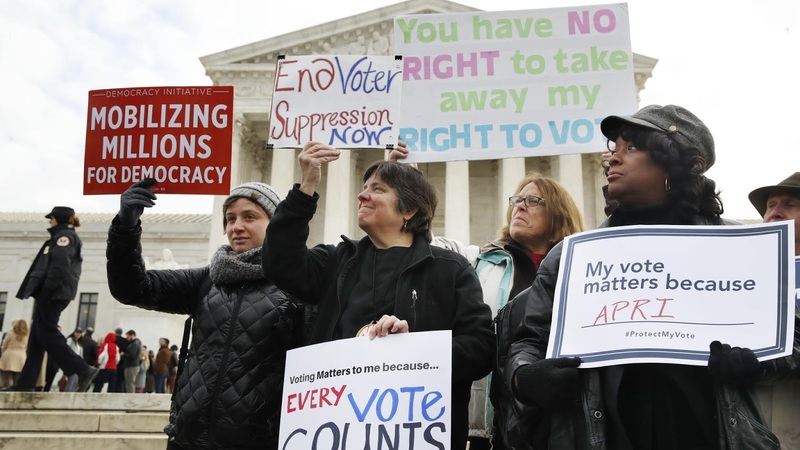 Justice Kennedy, 81, has long been the decisive vote in many closely divided cases. His retirement gives President Trump the opportunity to fundamentally change the course of the Supreme Court. A Trump appointee would very likely create a solid five-member conservative majority that could imperil abortion rights and expand gun rights. Justice Kennedy’s voting record was moderately conservative. He wrote the majority opinion in Citizens United, which allowed unlimited campaign spending by corporations and unions, and he joined the majority in Bush v. Gore, which handed the 2000 presidential election to George W. Bush. He also voted with the court’s conservatives in cases on the Second Amendment and voting rights. But Justice Kennedy was the court’s leading champion of gay rights, and he joined the court’s liberals in cases on abortion, affirmative action and the death penalty. As I long suspected and as this blog's legal expert predicted :" However, as it stands, the courts have basically taken the position that Presidents can freely use Section 212(f) as they see fit, so it is unlikely that Trump will lose this battle on the merits in the long run." the Supreme Court upheld Trump's travel ban. So that is that. WASHINGTON — President Trump acted lawfully in imposing limits on travel from several predominantly Muslim nations, the Supreme Court ruled on Tuesday. The vote was 5 to 4, with the court’s conservatives in the majority. The court’s decision, a major statement on presidential power, marked the conclusion of a long-running dispute over Mr. Trump’s authority to make good on his campaign promises to secure the nation’s borders. Just a week after he took office, Mr. Trump issued his first travel ban, causing chaos at the nation’s airports and starting a cascade of lawsuits and appeals. The first ban, drafted in haste, was promptly blocked by courts around the nation. A second version, issued two months later, fared little better, although the Supreme Court allowed part of it go into effect last June when it agreed to hear the Trump administration’s appeals from court decisions blocking it. But the Supreme Court dismissed those appeals in October after the second ban expired. The Supreme Court may have gotten this wrong, though I don't think they did. I am no lawyer or legal expert. But to paraphrase a saying the Court is not supreme because it is always right; it's supreme because it's final. If Congress wishes to do so it can write a law to remove such authority from the current President and all future ones. We should remember that Trump, like Obama before him, will not be the United States' last President. I've written before about how one of the most persistent elements of American anti-Black racism is the idea that some non-Blacks have that a given Black person doesn't belong in a certain space and can or must be challenged. Racists of various nationalities or ethnicities often can't believe that anyone Black can legitimately own or enjoy nice things. These challenges can range from anything from hard stares, special charges, and slow service at an upscale restaurant to extra demands for id when writing a check or using a credit card, to mistaking a co-worker for a criminal or janitor all the way up to profane insults and physical attacks by the police or others. This all goes back to slavery and formalized Jim Crow. This suspicion of and contempt for Black people is passed down from generation to generation and even to people descended from groups that arrived in America after slavery or Jim Crow, who of course often have their own independent tradition of anti-Black animosity. During slavery Black mobility was severely limited and had to be literally signed off on by a white of sufficient authority to grant it. Blacks, free or otherwise, who were caught in the wrong areas without some sort of pass could run into some serious trouble. This attitude has never really gone away. Most Black people can tell a story in which this racialised hostility is revealed either in a minor or major way. The other day it was a Black doctor's turn. ATLANTA — A Black doctor is upset at a man who she says racially profiled her when he blocked her from entering the community that she has lived in for about eight years. A part of the nearly 30-minute exchange was captured on camera. 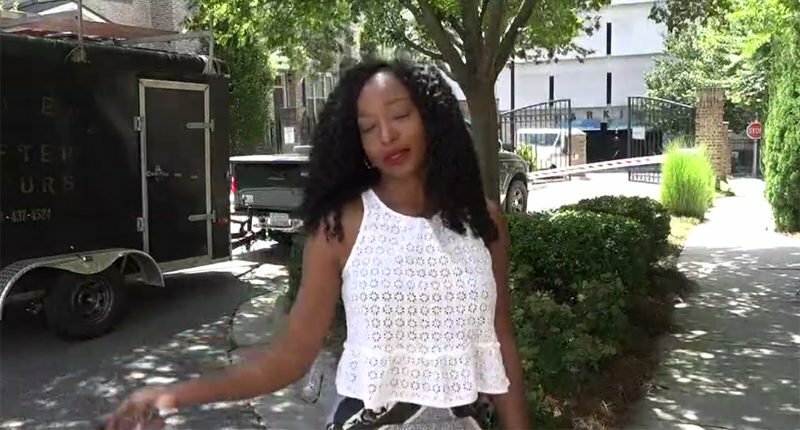 A police report indicates that Nnenna Aguocha stated she was attempting to enter the Buckhead Townhome community after just coming off an overnight shift when another property owner stopped her at the gate entrance. She said he parked his car under the gate arm and refused to move forward to let her in, despite her repeated requests. "He got out of the car and threatened to call the police on me because I was trespassing," she said in the video recording taken at the scene. "This is racial profiling at its finest." On one level this older film is the answer to the question of what would Alex from A Clockwork Orange be doing once he grew up. Malcolm McDowell, who gave such a frighteningly charismatic performance as Alex, is here a bit more muted, though just as nasty as the unnamed titular character, the undisputed boss of the London underworld. In the present day Gangster is in his late fifties and is apparently living it up. He enjoys fine dining and good food. At a boxing event with Gangster's cronies someone mentions that one Freddie Mays is finally getting out of prison after some thirty years. This news apparently upsets or confuses Gangster as he leaves the table and walks about thinking to himself. 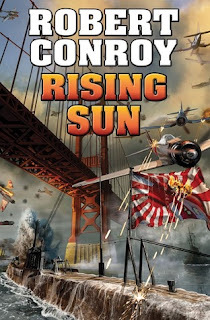 The director then takes on a flashback to the late sixties. At that time Young Gangster (Paul Bettany) is just a oddball enforcer with ambitions to rise in the gang led by Freddie Mays (David Thewlis), a dapper criminal who usually eschews personal violence though he has killed a cop and gotten away with it. The movie examines the events that have led up to the present day with Gangster firmly ensconced in the number one position. 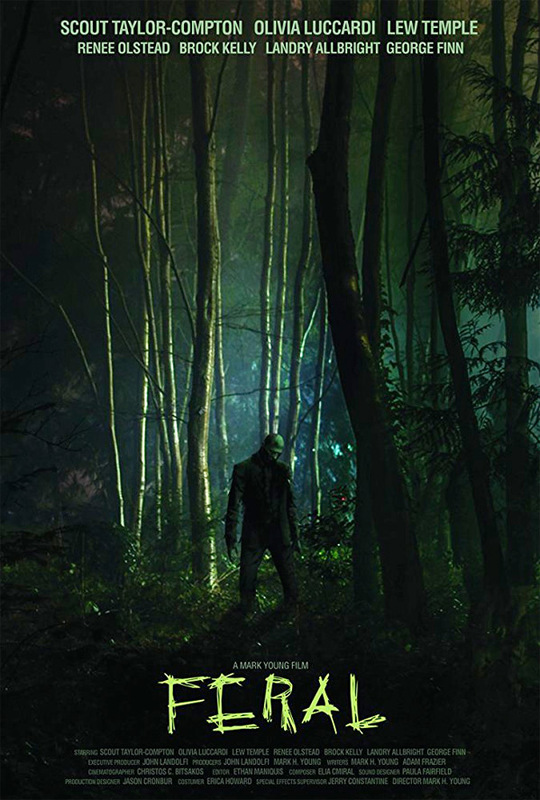 This film was based on a play. The director kept that theatrical feeling. There's a strong sense of deliberate performance that emanates from the actors and how the director sets up the camera and sound. It's all very stagey. This is a million miles away from work by Scorsese, Ritchie, or similar types. Have you ever eaten something you shouldn't have and suffered for it later? Well you probably have. Have you ever been around someone and had an epiphany that for whatever reason it wasn't good or even safe for you to be around this person? Some of us have likely had that experience as well. But unless you happen to be a friend or acquaintance of Kelly Cochran, you may not have been unfortunate enough to combine both of those experiences into one unsettling encounter. DETROIT — If you've ever seen the end of the movie "Fried Green Tomatoes," then you have an idea of what may have happened to a Michigan man in 2014. In a new television documentary, authorities allege that a serial killer and her husband chopped up and killed her former lover and then served his remains at a neighborhood barbecue in 2014, WJBK-TV, in Detroit, reported this week. 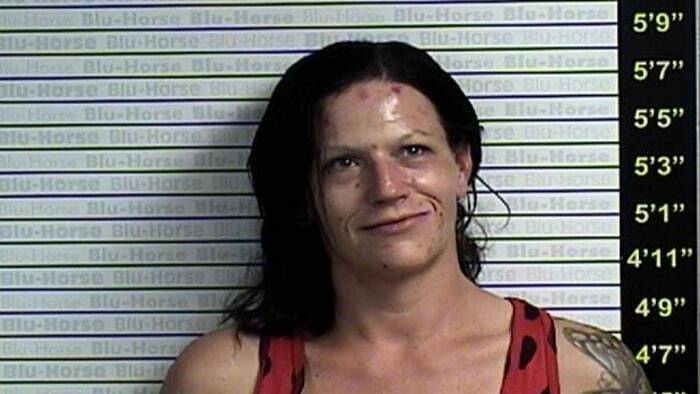 Kelly Cochran later injected her husband with a lethal dose of heroin in February 2016 in Indiana. The docuseries on the Investigation Discovery channel called "Dead North" takes the viewer on a journey that might just leave a bad taste in their mouth. 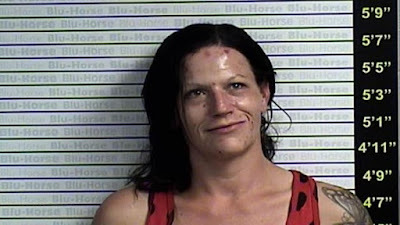 Cochran, 36, admitted in court that she and her husband lured her lover, Chris Regan, inside their home, shot and dismembered him in Michigan's Upper Peninsula. Cochran said she and her husband made a pact that they would get rid of anyone "involved in their extramarital affairs." There have been many situations in which artists of varying talent levels have been accused of committing or proven to have committed nasty acts, often criminal, often against women. Others have been accused of saying or believing foul things about women or people of different races, religions or nationalities. Recently this has led to many people claiming that in order to show our disdain for the artist and his bad actions or thoughts and support for his alleged or actual victims we should remove the artist's works from our playlists, cd players, theater stages, movie and tv screens, galleries, or bookshelves. Other critics of an even more puritanical bent, or perhaps just jealous, have argued that the artist's work itself is hopelessly flawed because of his bad thoughts/actions and thus must be completely expunged from existence and memory. They have argued that by definition anyone who believes or behaves a certain way can not produce work that is worth anything. I've written before on how I find these approaches short sighted and limiting. But it's of course ultimately a personal and rather arbitrary decision as to which art you patronize. There are artists whose works I don't appreciate because I was exposed to something ugly they said or did before I was exposed to their creative work. And there are artists whose work I appreciate even though were we ever to meet there would likely be nothing but mutual disdain if not hatred. So it goes. But even in the case where I dislike an artist for whatever non-art related reason I have, I still believe that the value of their work stands apart from my subjective response to them. 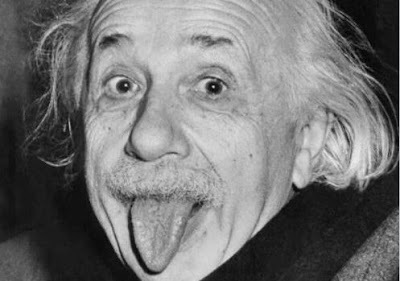 A non-art example of this recently popped up with the reveal of Einstein's travel diaries. I've been silent for a long time because, quite frankly, there's been entirely too much nonsense to keep up with from this administration on a daily basis. Every single day a new unforced error here, a new lie there. It's exhausting. Meanwhile the left and right can't even agree on what day it is and Congress is about as functional as the Gallagher family from Shameless. I used to enjoy movies like Idiocracy because they were far fetched fiction...now it seems like it could be a legit documentary. My point is, there doesn't seem to be any bottom to how low this President and his administration of "the best people" will sink, and this past week has held true to that theory. By now you've seen or heard of the videos of thousands of children, some of them infants less than a year old, being stripped away from mothers and fathers who encounter border patrol agents along the US-Mexican border. 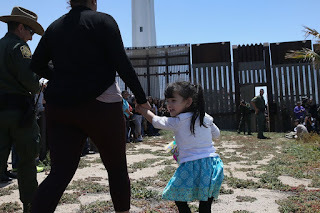 Many of these families are seeking asylum from harsh conditions which means that, as a matter of law, they are not crossing the border illegally because US asylum laws allow them to enter the country while their asylum application is being determined. Predictably, the Trump administration, aided by Fox News and right-wing media, went to work attempting to spin their own version of reality by blaming the Democrats (who are not in power in any of the 3 branches of the federal government) for this new enforcement policy as if a new law had just been passed. I'm a lawyer so the first thing I did out of habit was to look to see if any new immigration law had been passed by Congress recently that would require border patrol agents to separate immigrant children from their parents. Uneven film with plenty of stereotypes. It has its moments but the cast was better than the writing. I expected a little more from this film based on the cast. Most of the top listed cast actors/actresses have been a lead actor or actress in other successful films. So I knew they could act. I can't remember the exact quote which came to mind after I watched this movie. It could be apocryphal but I believe it was football star turned black action movie star Fred "The Hammer" Williamson, who in response to sixties and seventies Hollywood racial stereotypes insisted that if he were going to star in a film at least one of and preferably all of three things would have to happen. 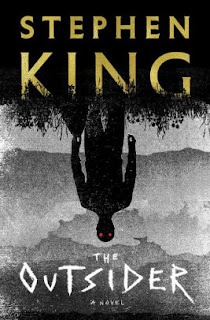 (1) He survives until the end (2) He wins the fights (3) He gets the girl. All of things are still uncommon for unambiguously Black male actors in large budget mainstream American films. Those plot points are the obvious indication that the lead actor is the hero, someone with whom the viewer should identify. I'm not sure Gringo would satisfy all of Williamson's criteria. 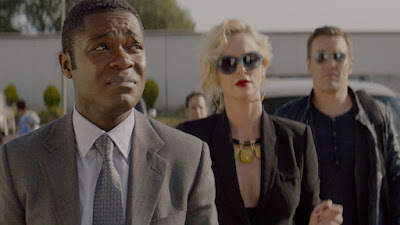 This is a very uneven sardonic black comedy showcasing people with few redeeming qualities. Maybe the better way to look at this film isn't necessarily through a lens of heroism but of confusion. Why, if there is a perfect, all knowing, and all powerful God, is there evil in the world? Why does it seem that many people who have the moral impulses of a hungry shark flourish in life while moral people suffer. People have asked these questions for years and do so explicitly in this film. Harold (David Oyelowo) is a devout Christian Nigerian immigrant to America. Harold wears his optimism and faith on his sleeve, something that makes people-particularly his bosses- think that he's not really that bright. Which one of you SOB's is ready to do some man's work today? Come and have a go if you think you're hard enough! In 1066 when William of Normandy invaded England, defeated its Saxon king and took the English crown, subduing the Britons and Anglo-Saxons, he did not give up his lands in France, or more precisely Normandy. His descendants were just as aggressive, at one point ruling just over half of what is today modern day France, though technically they were still considered vassals of the French King. This Anglo-Norman presence grated on continental French sensibilities and noble interests. The French began a long campaign to reduce English suzerainty in France, peacefully if possible, violently if not. In the 14th century a particularly complex chain of events left the English King with arguably the best claim to the French throne. As a result, long simmering national and dynastic tensions boiled over into the bloody conflict we know as The Hundred Years War. Although ultimately the French would triumph, ending English claims to French lands or thrones, the English won many of the war's best known battles. Perhaps it's because the English were more adept propagandists (The Battle of Agincourt was memorialized by Shakespeare in "Henry V") and because we speak English that we know more of the English victories and not their final defeat. Overall the Hundred Years War helped to speed the transition of England and France from feudal territories into nation states. It was also a precursor to the English War of Roses but that's another post. 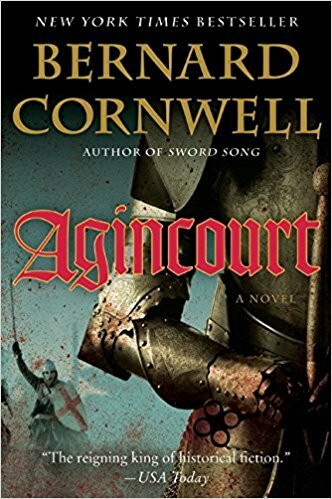 The Battle of Agincourt was an English high point. An English army of about 6000 sick and half starving men soundly thrashed a French army at least three times its size. Some people claimed the English were outnumbered by as many as five or six to one. Whatever the numbers were, contemporary chroniclers were shocked by the English victory. In this older book Bernard Cornwell takes the reader on an exciting and apparently realistic excursion into 15th century morals, ethics, hygiene, and warfare. One of the hot button topics across what is referred to as the "West" is immigration, particularly illegal immigration and refugees. This issue was part of why Trump was elected. It was also behind the electoral success of some right-wing politicians across Europe, including, Italy. The new government in Italy made news recently when it refused to accept a French NGO ship crammed with apparent African and Arab refugees. France ostentatiously criticized Italy's decision but also refused to take in the migrants, something that caused the Italians to go off on the French hypocrisy and arrogance. The Spanish stepped up to take in the ship. Nationalists across Europe cheered Italy's decision. PARIS — A boat crowded with hundreds of Africans sailing across the Mediterranean after being turned away by Italy this week has exposed anew the shaky fault lines in Europe’s approach to the migrant crisis. On Sunday, Italy’s new far-right interior minister, Matteo Salvini, ordered the Aquarius, a rescue ship operated by humanitarian groups, to stop 35 nautical miles off the coast of Italy, refusing to let it dock. The ship is now on its way to Spain, which showed up its neighbors by solemnly announcing that it would “respect its international engagements” and accept the boat after Malta, too, refused it, and France stood idly by. Brussels, the seat of the European Union, looked on in relative silence. There was no common policy to receive the Aquarius and no authority to impose one if there were. The Italian refusal to offer safe harbor to a ship loaded with what aid groups described as 629 migrants — including 123 minors, 11 small children and seven pregnant women — was intended to underscore a long-simmering grievance. The Italians have bridled for years that they have been left alone by their European Union partners on the front line on the Mediterranean with an unmanageable burden of migration that Mr. Salvini pledged to reverse in his recent election campaign. But his refusal to accept the boat did more than pit humanitarian necessity against political expediency. It roiled tensions with European allies in ways that made President Trump’s performance at the G-7 summit last weekend look almost diplomatic by comparison. You ought to marry the person who will help you promote your genes into the next generation. But many people aren't invested in the concept of "Until death do us part" or even marriage itself as a precursor to having children. Lust and love affect your judgment. What do you owe your children? Society has laws to ensure that non-custodial parents can't duck their financial responsibilities to their children who live with the custodial parent. Theoretically, this is good. But the devil is in the details. If a man is wealthy does it automatically follow that his children must live extravagantly? I would say no. I have known relatively impoverished people who spent every dime they could beg, borrow, or steal so their children could live high on the hog. I have also known millionaires who live frugally and send their children to public schools. These are parental decisions. But when the parents are not married, disagree with one another, and/or live apart, such decisions become public. Belkis Rodriguez is the ex-mistress of Detroit Tigers slugger Miguel Cabrera. She has two children by Cabrera. Both Belkis and Cabrera were married to other people when they started their relationship. Cabrera has been paying Belkis between $12,000 and $15,000 per month in child support not including other payments. Cabrera was paying more in child support than the judge had ordered. Well no good deed goes unpunished. Belkis is suing Cabrera for $100,000/month in child support. 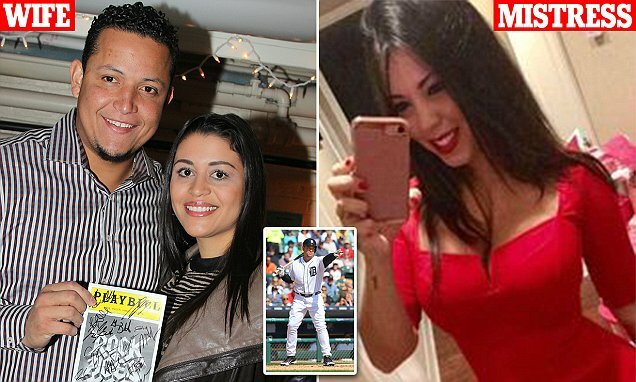 Miguel Cabrera has a delicate balancing act on his hands: He's trying to appease one woman while pleasing another. One is his wife and high school sweetheart; the other an ex-mistress. Caught in the cross hairs are five innocent children — three from his marriage, two from the affair. For the $30-million-a-year baseball superstar embroiled in a legal fiasco that has so far been about money, a bigger perhaps more important issue remains: Can he be a good father to all five children, and does the law require that? I think that some people can probably relate to the below video. Whether it's due to an over heated or under heated room, profoundly boring speakers or discussion topics, too much or too little to eat at lunch, advancing age, lack of sleep, or just generalized frustration that their life is slowly being wasted on tedium, I have over the years seen more than a few people struggle to stay awake in corporate meetings. This has of course never ever ever happened to me because I am an enthusiastic corporate drone. Or something. Some people make a strong argument for government intervention, whether in the form of tax breaks, incentives, subsidies, or outright cash transfers to help poor or middle class people get on their feet, get job training, start a business, get an education, buy a house or (ahem) get some health care. The devil is in the details of course but if you're living paycheck to paycheck and/or can't immediately put your hands on $1 million in cash, then I won't begrudge you some form of government assistance. There but for the grace of God go I and yada yada yada. If you are a rich person with regards to income or more importantly in regards to wealth (the top 1% households had a little over $10 million in net worth in 2016) then I will suggest that you don't need much assistance from any level of government. You likely work for yourself but even if you don't it's rare that the loss of your job will have you sweating and panicking over a missed paycheck in two weeks. There are some people for whom $10 million is nothing special. They might drop that much on weekend gambling ventures, jewelry for their wife or mistress, rare cars, vacation homes or child support. A billion is one thousand million. That's ONE THOUSAND MILLION. If you are worth one billion then you or yours don't want for much. Dan Gilbert owns Quicken Loans, Rock Financial, a few casinos and of course the Cleveland Cavaliers. Dan Gilbert is Michigan's richest resident, and likely Ohio's as well when he's in that state. In 2017 Gilbert was number 91 on the Forbes 400 list. Only a few Americans have more money than Gilbert. 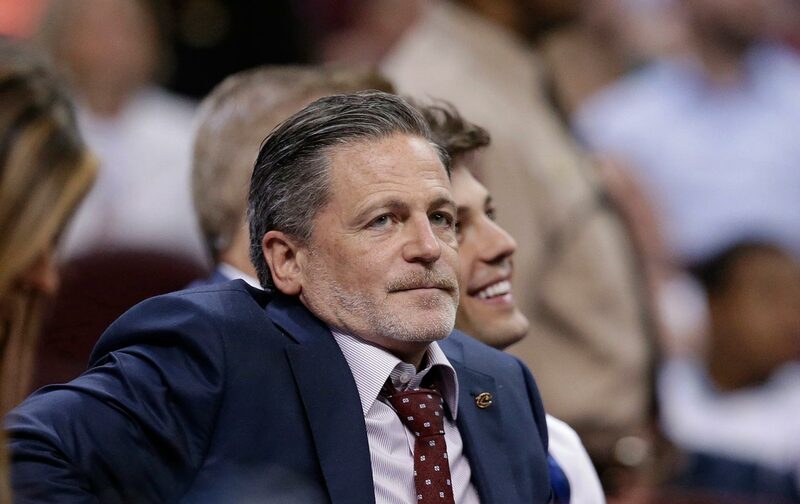 Dan Gilbert's net worth is approximately 6.3 Billion dollars or to put it another way, 6300 million. There's little that Gilbert couldn't buy or invest in if he so chose. Money is not a limiting factor for Gilbert. So I'm having trouble understanding why the State of Michigan has decided to give a $600 million subsidy to Gilbert for a real estate deal. Dan Gilbert, the billionaire who has overhauled downtown Detroit by resurrecting historic buildings, sealed one of his biggest Motor City deals yet by getting final approval Tuesday for a $618 million tax incentive plan.